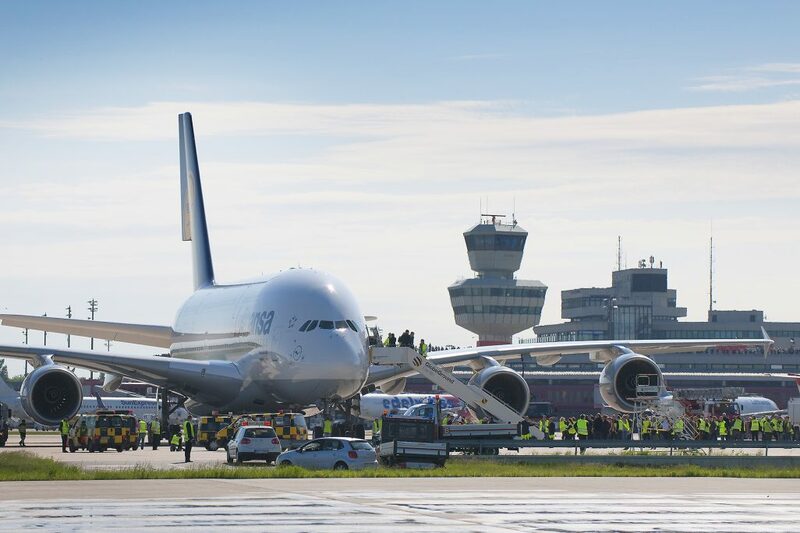 When the new BER Airport in the southeast of the city commences operation at the end of 2020, the days for the old Tegel Airport will be numbered. Within six months, the “Otto Lilienthal” airport will no longer be in operation, which is what lawmakers have decided. And therein lie numerous opportunities for housing construction and for anyone seeking property. For when the story of the airport at the dilapidated 1960s complex comes to an end, a new chapter will begin. Starting in 2020, this urban development area will undergo a genuine metamorphosis. We show the five opportunities that lie in this for housing and businesses. Whether aircraft noise or increased traffic: while many in the district of Reinickendorf have made their peace with it, airport operations and housing quality only work together under limited circumstances. This is going to change! 25,000 new apartments are to be built all around the former airport. And Berlin can really use them because the continued influx into the capital requires additional new housing. In Tegel, the BUWOG Group is starting things off with the “La belle Ville” district. Six residential buildings with heights of four to six storeys are grouped as a triangle around a protected neighbourhood square. Here, a total of 95 rental apartments with a focus on family-friendly living will be built. The topping out was recently celebrated – the first families will be able to move in here in early 2019. When it comes to smart city, Tegel will be the trailblazer. When houses, roads and infrastructure are connected with one another, there are numerous benefits for people and the environment. Santander shows what’s possible in a smart city. Thanks to state-of-the-art sensor technology, rubbish bins in the Spanish city report when they are full. Thus they are emptied on time and the collection rounds are optimised using computer-aided support. This saves on petrol and therefore benefits the environment. The topic of smart city will also be researched in Tegel in the future. Development of a variety of neighbourhoods on 495 hectares, where educational and research facilities will explore the city of the future, is planned. Beuth University of Applied Sciences is to move into the old airport, and around 800 companies, start-ups and scientific institutes will find a new home all around it. Tegel is ready for the sustainable and connected city. Berlin’s outer districts can breathe a sigh of relief as well: Tegel’s closure will be an asset to the entire region. The insider tip among the districts of Berlin lies in the western catchment area of Tegel and can soon delight in a rise in quality of life. Anyone involved in buying real estate will find a number of exciting new construction projects here. For example the SpeicherBallett, three old storage buildings on the banks of the Havel opposite the island of Eiswerder. The refurbishment of the warehouses in accordance with the laws on historic preservation will bring new life in all around the buildings. The warehouses will become the centrepoint of a residential district with around 600 rental apartments and condominiums. 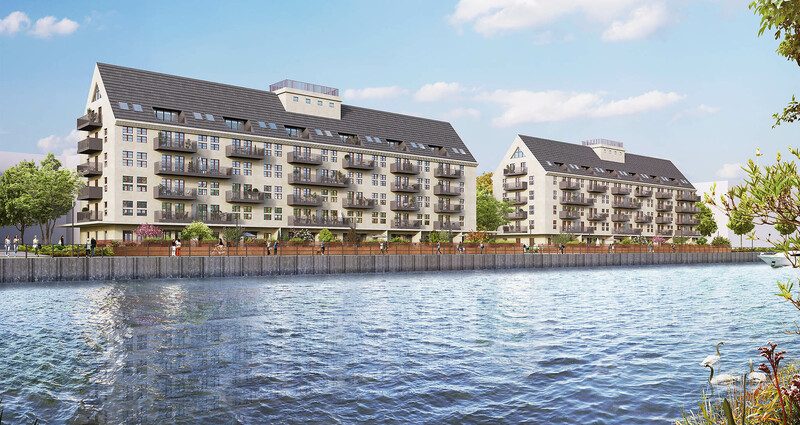 The theme: “Wonderful waterfront living” – and soon without any aircraft noise. The continuous influx to Berlin will make the outerlying districts more attractive. The residential locations outside the suburban train routes will also become exciting, as they will benefit from the strategic location of the new airport. 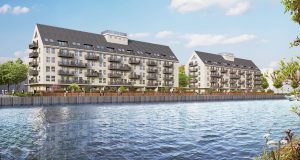 The property experts’ particular focus: the district of Treptow-Köpenick in the southeast of the capital. 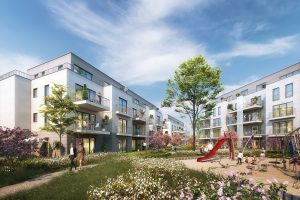 “Here, the quality of life directly on the waterfront and the strategic location of the future are a perfect blend,” says Alexander Happ, head of development in Germany for the BUWOG Group. An example of this is the 52 Grad Nord district in the district of Grünau, where by the year 2023 around 1,000 apartments will be built. Here you can enjoy living on the banks of the Dahme and still be perfectly connected. It takes about 25 minutes by car to the Ostbahnhof railway station, 15 minutes to Wista Adlershof or the new BER Airport. Despite the airport, life in Grünau is completely quiet, as the official aircraft noise assessment shows. 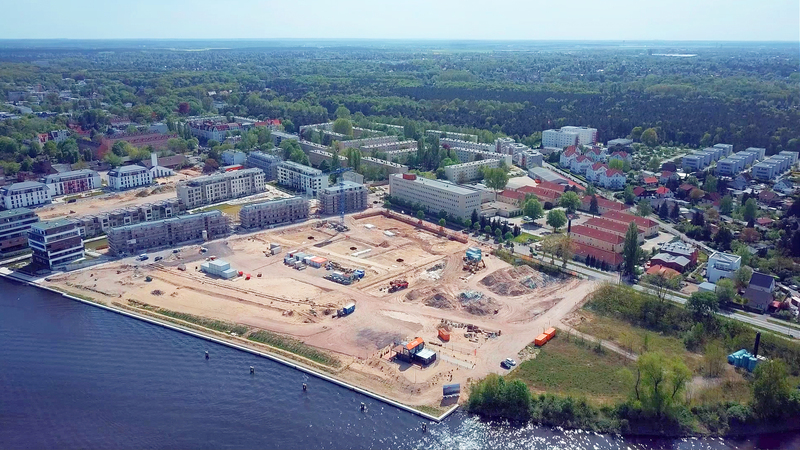 At 52 Grad Nord, the so-called “Kompasshaus” buildings are in the process of construction. They are being built using the wood-hybrid method and provide 50 condominiums of about 80 to 110 sqm. Thanks to modern façade insulation made of cellulose fibres, the best insulation values ​​are achieved with normal external wall thicknesses. Due to its energy-efficient construction method, state funding is possible as a “KfW Efficiency House 40”. There are currently around 21,000 direct air traffic-related jobs in the German capital region. But the Tegel closure will offer much more in the future. The Berlin development bank IBB assessed this in a model calculation of the economic effects of the subsequent use of Tegel. Whether start-ups, housing or research institutions: Tegel without an airport will become the motor of innovation for Berlin. 17,500 permanent jobs could be created, for instance at Beuth University of Applied Sciences and in the approximately 800 future companies of the Urban Tech Republic. Research and innovation are also having a positive effect on the city’s economic strength. Jobs in Tegel 2.0 will be joined by another 23,500 jobs in crafts, construction, the services sector and retail. Other cities also have experience repurposing former airport grounds. One of Europe’s largest urban development projects is under construction in Vienna. Seestadt Aspern with apartments for 20,000 people will be built on the Aspern airfield, Vienna’s airport during the interwar period, in the Austrian capital by 2028. Nearly as many jobs will also be created in areas such as business, science, research and education. The master plan for Seestadt Aspern was designed by Swedish architect Johannes Tovatt and adopted in 2007. On the basis of innovative concepts, Seestadt Aspern will create a sustainable district that combines a high quality of life with dynamic economic strength. The geographical centre of Seestadt is a five-hectare lake in a nine-hectare park. 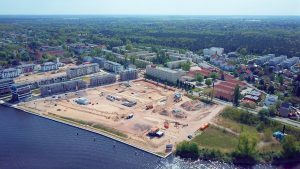 With the See See project – which was awarded the European Property Award – the BUWOG Group is carrying out what is by far the largest privately financed residential construction project in Seestadt Aspern on the Janis-Joplin-Promenade and Maria-Tusch-Straße. A total of 285 privately-financed condominiums and buy-to-rent apartments will be built for singles, couples and families in the three project sections See See Home, See See Living and See See Tower. Completion is scheduled for 2019.